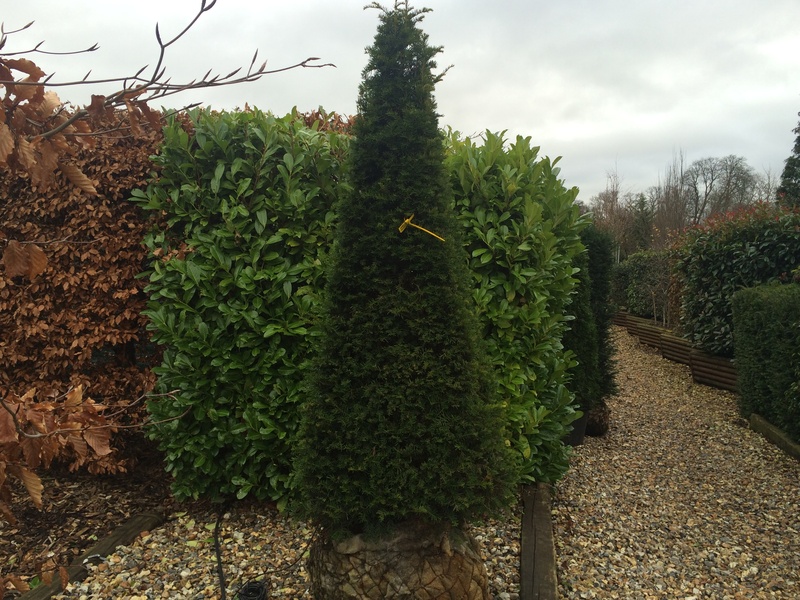 Taxus baccata comes in a variety of fine topiary shapes, these are just some that we have available, please call us if there are other topiary you are interested in. 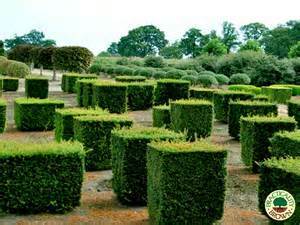 We also have English Yew with a clear steam, as individual feathered hedging plants, and elements, see this page. The tree trunks grow to a wide diameter with mature tree trunks hollowing. 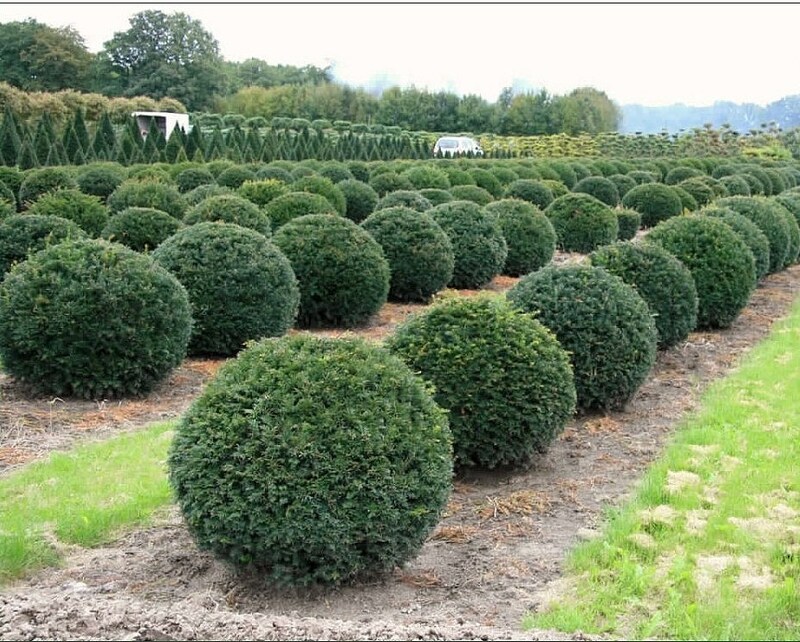 Leaves are small and dark green, almost needles in shape with an average length of 2-4 cm and a width of 0.3 cm. The leaves look as though they grow in rows either side of the stem, however they are whorled with a spiralling branch. Seeds grow individually in arils, which are a red, fruit-like shells with an open end, giving added interest to these trees. 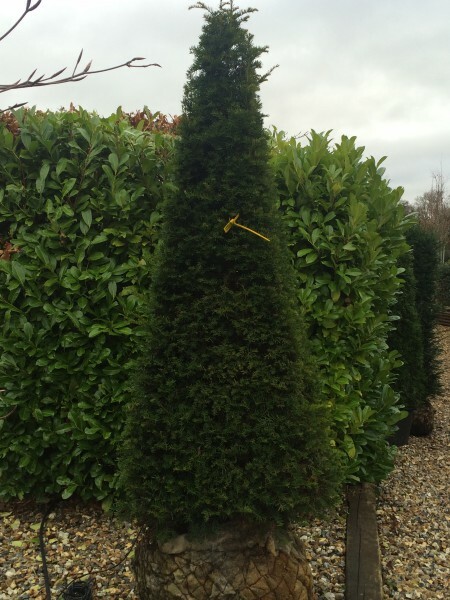 Taxus baccata grow in a conical shape, getting broader with age. 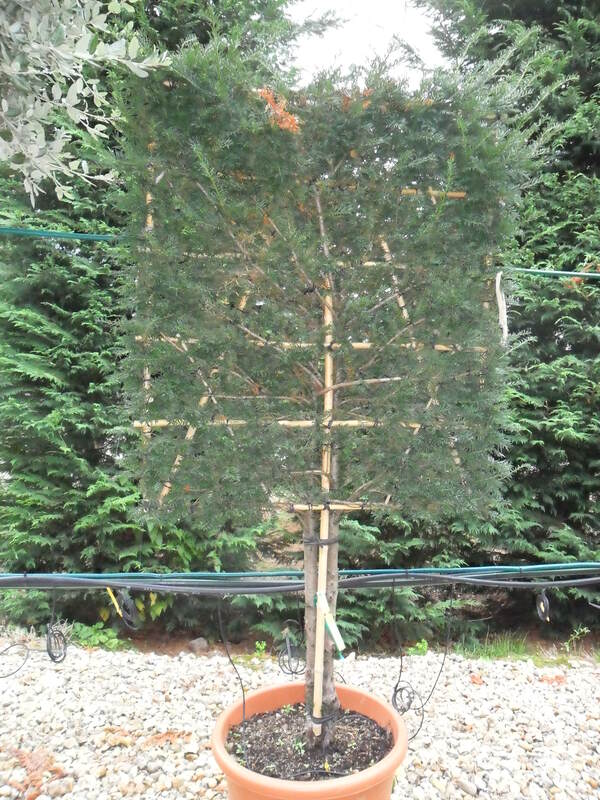 The RHS has given this tree an Award of Merit.